Hi, Dr. Hale here. 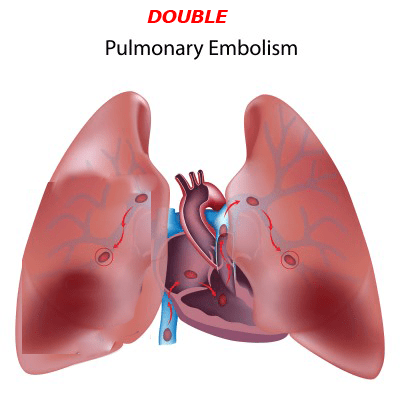 With a Doctorate in Education, I’m usually a teaching about computers or blogging, but today we’re going to take a side trip and give you an education on pulmonary embolism. No, I’m not going to pretend I’m an M.D., but I am going to share some things I learned recently – first hand! but I have an excuse – about 10 doctor’s excuses if you want to know. A little background. I’m overweight – to the point of being “morbidly obsess” by medical standards. I watched spring time arrive 67 times. On the other hand I have been very healthy. Measures like blood pressure, cholesterol, heart rate, oxygenation and so forth have been in the healthy range. I had a full physical in February and things (including an EKG) were fine. We did notice edema and went to a Podiatrist a few weeks ago. I started physical therapy a week ago. This consisted of light leg massage and wrapping my right foot, ankle and calf with a light pressure wrap. I worked on the computer late into the evening (writing a blog post). The pain was gone, but every time I got up to go to the rest room the shortness of breath returned. Very weird. I know I’m out of shape, but that had NEVER happened before. I called my family doctor (Dr. J. B.) and he agreed to see me in an hour. I drove there and took an EKG. Everything looked and sounded fine. He didn’t see any cause for the shortness of breath He recommended that I call a cardiologist and gave me a card and brochure. I drove home at 1:00 P.M. and made the call. Dr. Neel Patel agreed to see me at 3:00 P.M. My wife and I went to the appointment. If the appointment had been “a month from next Wednesday”, like most new patient appointments are, I wouldn’t be here. Dr. Patel told us later that he is 100% certain that in two days I would have been gone – period. After another EKG (fancier) and exam, Dr. Neel Pater could not find anything. He did want a hospital CAT scan ASAP. We had a discussion about checking me into the hospital and how the CAT scan might be two or three days away. The next option was to go to the E.R. and say some magic words. That would pretty much guarantee a CAT scan that same day. Before I left Dr. Patel wanted to do a Sonogram and we did. I could see his eyebrows start to creep up. That is when my life changed. I thought “Uh Oh!.” Five minutes later the small examination room filled with six large men in uniforms. During those five minutes Dr. Patel explained that his Ultrasound could not see clots, but what he could see was the right ventricle in my heart was straining to push blood into my lungs. He said that it was subtle, but he could tell that there was a LOT of back pressure and that probably meant a large clot. Note: For what it is worth. In later discussions, Dr. Patel explained that usually he would see a chamber in my heart squeeze an contract like it was an open hand becoming a closed fist. What he was seeing with me was the open hand wrapped around an invisible tennis ball. All he saw was the fingers fluttering a little and the valve tried to contract. The back pressure was so great that it could not really squeeze. An Aside: The EMT came back to Dr. Patel later and asked why they had been called to transport a “Walkie-Talkie” I was walking and talking and didn’t appear to be in distress. (They never saw me walk.) I was sitting on the table and chatting with them and my wife. Dr. Patel. and I are scheduled to have a talk with them next month about how something doesn’t have to look critical to be critical. Another aside. The EMT were preparing to give me the standard protocol for “heart patients.” This involved giving my Nitro Glycerin. Dr. Patel stopped them. Nitro would lower my blood pressure and there was a chance that it would not come back up – ever. My heart was not the problem. The blood clots in the arteries in my lungs were the problem. I’m going to digress again. My medical friends will groan, but here is what I understand in words that I understand and will remember next week, next year and for the rest of my life. The blood in our body travels in two loops – I call them Loop A and Loop B. I’m sure that there are medical terms, but I don’t care. Loop A – blood is pumped out of the heart and into the lungs to be oxygenated. We all know that the lungs supply oxygen to the blood. The blood travels back to the heart completing Loop A.
Loop B – oxygenated blood is pumped to the rest of the body supplying oxygen to all the cells and returns to the heart – completing Loop B.
I had two clots in my lungs – one in each lung that almost completely blocked the passage way. Obviously a complete blockage would mean no oxygen and that would have been the end of me. They doctors call these “pulmonary embolisms.” I call them clots in the arteries of my lungs. I think of this like the old gag about putting a potato in the exhaust of a car. If you block the exhaust well enough the car will not run. If the bad air can’t leave there is no room for the new air and gas and the engine won’t work. Just enough blood was getting through to run my engine at rest. My heart was push, push, pushing against the clots in my lungs. At this point there are very few things that can happen. The clots can move from the constant push, push, push and completely block the passage way. The clots can be blown out of the artery which means they travel into Loop B – heart attack, stroke and other “bad things” can result. My heart could be damaged from working to darn hard to do its job. We got to the ER and after an hour or so I was sent for a CAT Scan. Fortunately my sister-in-law is an M.D. and she had come to the ER to be with us and to help. After the ER doctor left she described Loop A and Loop B to me and to Robyn, my wife. Around midnight it was off to I.C.U. The E.R. doctor was going to send me to a regular room. Dr. Patel raised the roof and I.C.U. was the result. At 6:30 A.M. I’m talking to a doctor about options. A few of you know me well (Night Owls Unite!) and know that 6:30 A.M. is NOT my best time. I could continue on an I.V. drip of Heperin. I might take 3 days or 3 weeks to dissolve the clots. During that time I would be at high risk of the clots breaking loose and causing general havoc. Who you gonna’ call at 6:30? I buckled up, made my decision and at 7:30 was being wheeled down the hall (bed and all) towards a very large ultra-sound/sonogram room. I remember thinking “Wow, that was fast!” Again the “month from next Wednesday” norm came to mind. I felt two nips and some fingers moving against my skin. They inserted three foot long sheaths through my veins right to the sites of the clots. I remember them saying that there were little heads at the end of the sheathes with about 1,000 holes in them. The medication came out there. I was attached to what I called my “tower of power.” I’ll try to get a picture. There were two pumps each about the size of two shoeboxes on a rolling tower. The tower also had monitors, I.V. bags and lots of other things hanging from it. After a while they were done and we headed back to I.C.U. Hmm different room. I’m flat on my back and the instructions are “Don’t move your legs for the next several days.” Yikes! Somewhere in there I realized that the only way from veins in Loop B to Arteries in Loop A was through the heart. So I had two tubes that ran in one side of my heart and out the other. Oh joy! I was attached to an automated blood pressure cuff (it didn’t like me. It tried to pinch my arm off every 30 minutes or so. It tended to “shimmy” down my arm to my elbow. Then the cuff really had a ball. After it froze in the “pinch him hard position”, the nurse would come in, speak sternly to it and we would try again. I also had electrodes attached here there and yond.. My favorite was an oxygenation measuring device that was taped to the end of my finger. Since it glowed and the finger was long, my communication ability was enhanced considerably. They assumed that the 24 procedure would be done the next day so I went off food at 9:00 PM. The following doctors would wander in from time to time. Sometimes it was their assistant or the doctor covering for them. Keeping their names, specialties and what they were there for was beyond me. All four of my children, my mother and my mother-in-law and of course Robyn all visited that day. Showing up says “I care” in ways that are too numerous to count. Robyn spent almost as much time with me that day as I did. The hospital gave me outstanding care. The nurses were wonderful. I have written up commendations for two of them – Beth and Debbie. You know who you are! A lady was in the hospital after having just had a baby. The lady thinks that this sounds like “another shoe is going to drop” and questioned the doctor. I was ready for the 6:30 A.M. call and so of course it didn’t come. When the nurses came in, one side was bleeding. They held pressure on it for 45 minutes and it stopped. That led to an interesting result. For the next two days every nurse that came in the room would say “I want to look at your groin.” They would lift my gown and take a peek. Back to the Ultrasound room and they removed the sheathes. They told me they inserted larger diameter ones so that the chance of bleeding would be reduced. The instructions were still “Don’t Move Your Legs!” That does get old, but could have been much worse. At about 9:00 P.M. a nurse came in with her trainee and told me the trainee would take the larger diameter sheathes out. I objected mildly. It turns out that the new ones were only six inches long. That hadn’t told me that! Cough and yank. Moved to Progressive Care Unit at about 1:00 P.M. They very rarely let people go home directly from I.C.U. The clots were massive – he was mildly surprised I made it to the hospital, even in the ambulance. There are only a few hospitals that have a Harvard trained Doctor who can do the procedure . They ran a CAT Scan and found a few new things, but nothing to do with the clots in my lungs. They brought an ultrasound machine in and determined that I had clots in my legs. That is where they came from. Massaging my legs may have broken them loose. They were going to cause problems anyway, but nice to know. The clots in the leg are called Deep Vein Thombosis. In my case it causes swelling when I sat at the computer and my legs (especially one) would turn bright red. They did let me come home. It was interesting that they gave me a prescription for a string pain medicine when I left the hospital. I think they still could not believe that I had no pain at any point in the process. The worst was my hips did not like laying flat on my back on hard beds and CAT Scan tables. Pulmonary Embolisms are the third most frequent Killer in the U.S. Your family doctor CAN NOT detect some very serious issues. He/she does not have the training or equipment. “I feel Fine” can kill you. Any abrupt change in your body that is really unusual – “I’ve never ever felt THAT before” – deserves a doctor’s visit. A “suggestion” to see a cardiologist isn’t a suggestion. Actually that applies to any specialist in fields that could be life threatening. Live for Today! Tomorrow honestly might not be there. Oh my! I knew you had been ‘under the weather’ but not how serious this was. You have just witnessed a miracle…what are you going to do about it? I was in deed a miracle. My life style is changing in a number of ways. I’ll be writing about them soon. I was really looking forward to at least saying HI at NES. I was actually planning for much more than that. On the other hand, I think my “excuse” is pretty rock solid this time! So pleased to hear that you are home and all went well. Thank you for sharing. 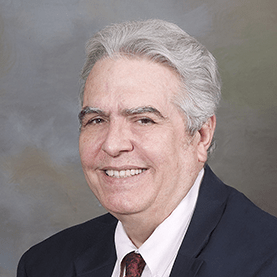 Being just a new member at the Renegade team, I can already see your invaluable contribution and look forward learning more of what you offer. Elaine Horner recently posted..What Is A Mother? I really appreciate you chiming in here. I am soaking up every good vibe and thought that I can! Wow! So happy that you’re okay, Dr. Hale! Thanks for sharing your personal journey — and about the famous “I feel fine” syndrome. Would you mind if I shared this post with my friends and colleagues on FB and LI? Continue to feel better! When I think of all the things that had to drop into place – just right – I certainly can see a larger hand helping things along! I am glad you are okay my friend. We all need you around. so take care of yourself. Hale I’m so glad you received goid care. That’s quite a story but one that makes you think. Recover well so we can see you in Minnesota in September. I am so read Lisa. Thanks for the well wishes. I take them and all the hugs I can get! OMGoodness! Thank God you are ok, Hale! That must have been quite a scare! Take good care of yourself. I’ve got a new crease in my hair from the bullet that I almost didn’t dodge. What an experience. All you never wanted to know about pulmonary embolisms, huh? Well, I am glad you have survived this ordeal. Crazy way to get a catchy headline! You are making the competition tough. 🙂 So happy you are home and doing well. You are a survivor. Lisa Kneller recently posted..He didn’t have me at “Hello”! Out little blogging challenge wanted a “killer” headline! Oh Hale Yes! Even in the telling of your close brush with death, you sense of humour comes through…You know how much I appreciate knowing you are well and will be holding you a tad accountable on lifestyle changes. But you also made me laugh in the telling of your story with those funny spots. You have been a treasure thru this! Oh Hale Yes! If there’s one thing that’s been top of mind these past few months, it’s that tomorrow is never promised. Live each day fully, but take care of yourself along the way. Glad you dodged that one! 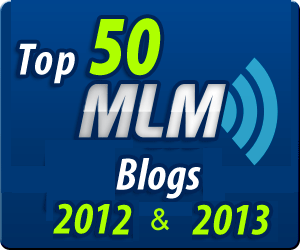 Eryn McCormick recently posted..Is Network Marketing a Bunch of B.S.? Here is hoping that your daughter dodges her’s too!. I think about the two of you often, even though I’ve never personally met her. Hugs!! So I could relate with the shave and laying on your back for hours with regular checks. Anyway, I’m SO glad to hear you’re ok and alive. Blessings my friend. I must say that I am glad to be here too. I hope some people learn from my experience. I know it taught me a LOT! a good internet hosting provider at a honest price? Thanks a lot, I appreciate it!